NFL player and Rusk County native Jim Leonhard will be the keynote speaker at the 5th annual Leadership Luncheon Fundraiser for the Boy Scouts of America on Thursday, May 6, in Rice Lake. Long-time Rice Lake business owner and civic leader Bill Appleyard will be honored with the annual Good Scout award at the event. Leonhard, a graduate of Flambeau High School in Tony, has had an illustrious football career so far, including a state championship in 1997. He also was a two-time First Team All-State selection. A walk-on player at the University of Wisconsin, Leonhard also achieved success as a member of the Badgers. While in college, he started 39 games for Wisconsin, including every game his last three seasons and was a three-time selection as an All-American. While at Wisconsin, Leonhard also tied the team record for interceptions with 21, and was the Big Ten leader in punt return yardage. In 2005, Leonhard signed with the Buffalo Bills and played there through 2007, before becoming a 13-game starter for the Baltimore Ravens. 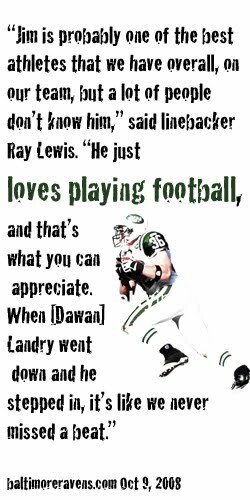 In 2009, Leonhard joined the New York Jets and has found a knack for making big plays in the postseason, recording 14 tackles, one sack, one interception, and one forced fumble during the Jets run to the AFC Championship game. Bill Appleyard has been a Rice Lake resident since 1968 and owned Appleyard's Home For Funerals since 1976. He has been involved in a wide variety of community organizations in Barron County including: Rice Lake Kiwanis Club, Rice Lake Chamber of Commerce, American Cancer Society, United Way, the American Legion, Am Vets, Barron County Board of Supervisors, Lakeview Medical Center Board of Directors, Loyal Order of the Moose, Elk's Lodge, Northern Star Theatre, and the WITC Foundation. In the year 2000, Appleyard organized a community-wide event, "Freedom Celebration," which honored all World War II Veterans and served as a kick-off fundraiser for the National World War II Memorial in Washington, D.C. These efforts grew into plans for an updated local memorial. Appleyard proposed and organized the fundraising and construction of the current Veterans' Memorial in Rice Lake, located near the lakeshore. This was dedicated on Memorial Day in 2005. Appleyard has also been recognized by the Rice Lake Chamber of Commerce with the 2005 Citizen of the Year Award and by the Rice Lake Rotary Club as a Paul Harris Fellow. Annually, only 0.2 percent of all high school seniors playing football earn a spot on an NFL roster. Two percent of all youth enrolled in the Scouting program each year earn the rank of Eagle Scout. Bill Appleyard's achievement and community involvement is also something to be celebrated. The annual Leadership Luncheon fundraiser is the primary fundraiser for the local District of the Boy Scouts of America, serving 1,800 youth participants and 250 adult volunteers in Barron, Rusk, Sawyer, and Washburn counties. Annually, $68,000 is raised to provide program services to these Scouts and leaders. Previous Good Scout award recipients include: Virgil Edson, the late Arnold Ellison, Dean Paul W. Chase, and the late Edward Doyle. The cost to attend the May 6 Leadership Luncheon is $150 per person, or $1,000 for a table of eight. All are welcome to attend. Those interested in attending or in receiving more information should contact Joe Carlson (236-1833), Jason DeRousseau (736-7000) or Bob Lorkowski (458-2277). Space is limited to 200 persons, and will fill up soon, so get your reservations in now!